The city of heritage temples, Kanchipuram is one of the seven sacred cities of India known as a knowledge center of South. Home for Shankaracharya Math, this city preserves and still exhibits the remnants of medieval India's Cholas and Pandyan heritage. The city also draws female shoppers, as it produces beautiful Kanchipuram Silk Sarees known for hand woven shimmery sarees, earning the city a sobriquet of "Silken Paradise". 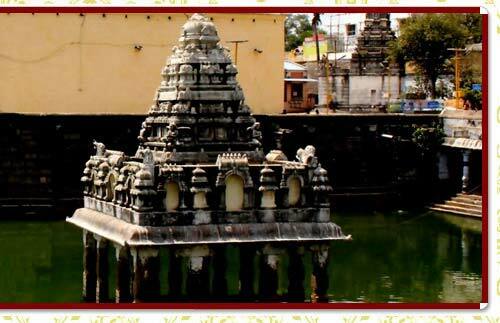 Main Attractions : Varadharaja Perumal Temple, Vedanthangal bird sanctuary. Geographic : on the banks of the river Palar, in the North eastern part of Tamil Nadu, is the temple town of Kanchipuram. Famous As: The town has been famous since ancient times as a center of culture & learning. By Air : The nearest air connectivity is through Chennai. By Road : Chennai - one hour, Mamalapuram - two hours. By Railways :Nearest train connectivity is through Chennai or Tirupati..
Kanchipuram, one of the oldest cities in South India, was & remains a center of learning for Tamil, Sanskrit, and Pali. Kanchipuram was under the reign of Pallava dynasty, from 4th to 9th centuries & reached its zenith after many known temples were built during their reign. Many great scholars were born here including founder of Zen Buddhism - Bodhidharma, famous Sanskrit writer Dandin, the Sanskrit poet Bharavi. Many luminaries like Dignaga, Buddhaghosa, Dhammapala and the great Chinese traveler Xuanzang have also stayed in Kanchipuram and explored the light of knowledge here. Thus the great antiquity of Kanchipuram can be savoured as part of Kanchipuram city tour. 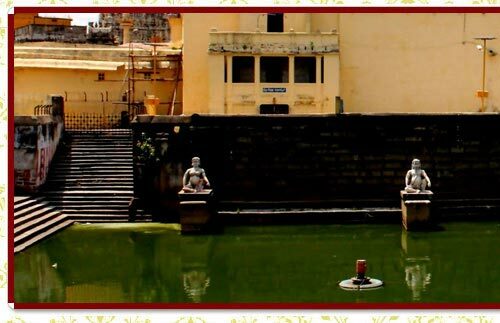 Dedicated to Lord Vishnu, Varadharaja Perumal Temple or Hastagiri or Attiyuran is a famous Hindu temple & is one of the main temples in the 108 holy shrines of Vishnu. The temple originally built by the Cholas in 1053 was expanded during the reigns of the great Chola kings. One of the greatest Hindu scholars, Ramanuja is believed to have resided in this temple. The temple is a huge one on a 23-acre (93,000 m2) complex and is famous for its holiness and ancient history. Another significant thing about the temple is beautiful carved lizards and platted with gold, over the sanctum. A home for migratory birds, such as pintail, garganey, grey wagtail, blue-winged teal, common sandpiper and some more, Vedanthangal is one of the oldest water bird sanctuaries in the country. Vedanthangal in Tamil language means 'hamlet of the hunter' as this area was a favorite hunting spot for the local landlords 300 years ago. The region attracted a variety of birds because it was dotted with small lakes that acted as feeding grounds for the birds. Realizing its ornithological importance, the British government undertook steps to develop Vedanthangal into a bird sanctuary as early as 1798. The best time to visit this sanctuary is from November to March. During this time birds are mostly busy in building and maintaining their nests. Villagers near this sanctuary are very concerned about the Sanctuary and the birds coming to this sanctuary, and they have taken many serious steps to avoid disturbance to the flow of birds.